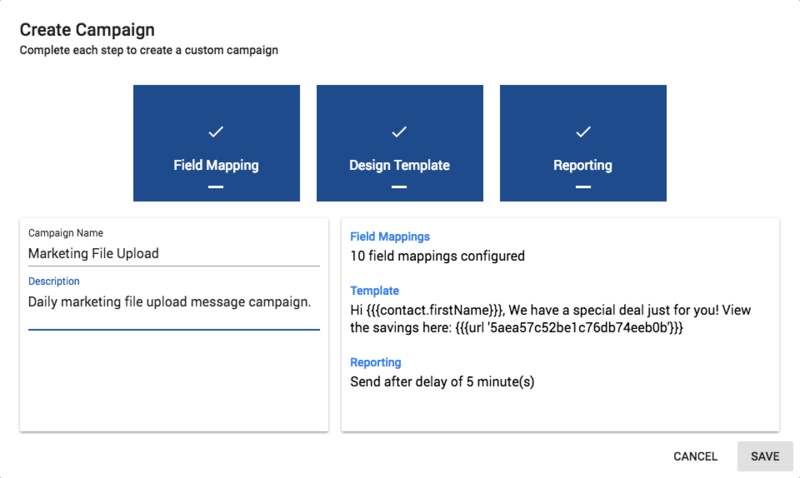 How to create a file upload messaging campaign. 1.) Select Create Campaign from the left navigation. 2.) 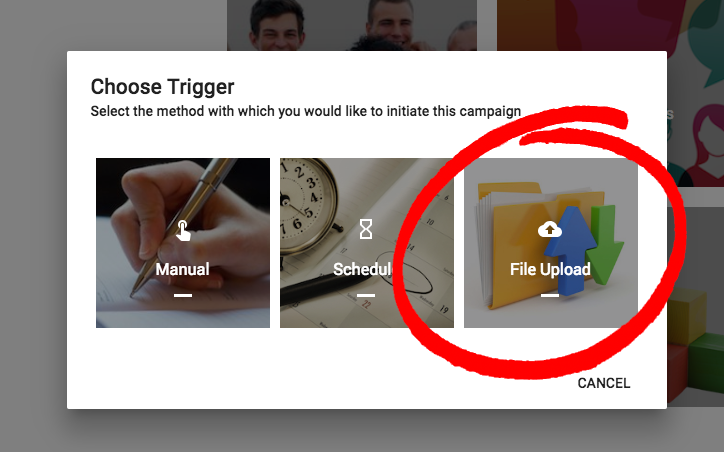 Select the "File Upload" campaign type. 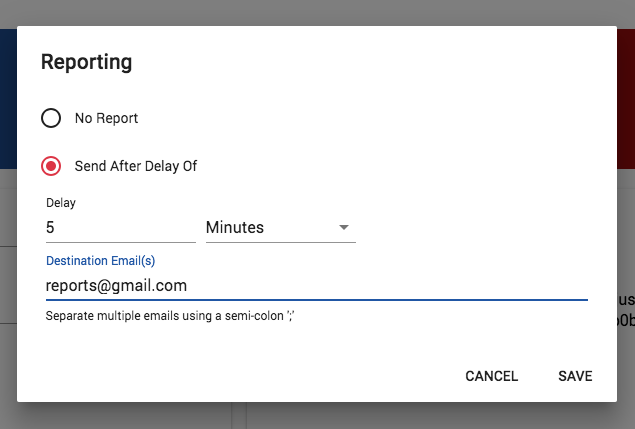 Reporting - select to receive a message summary report by email after a delay. 4.) 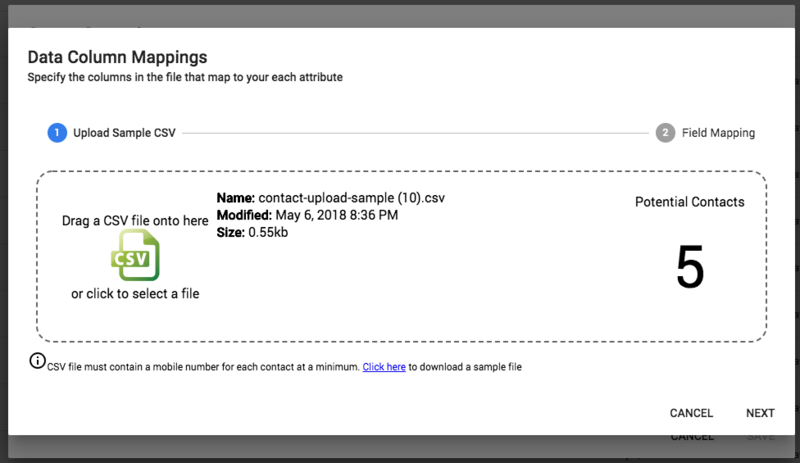 Field mapping - File upload. 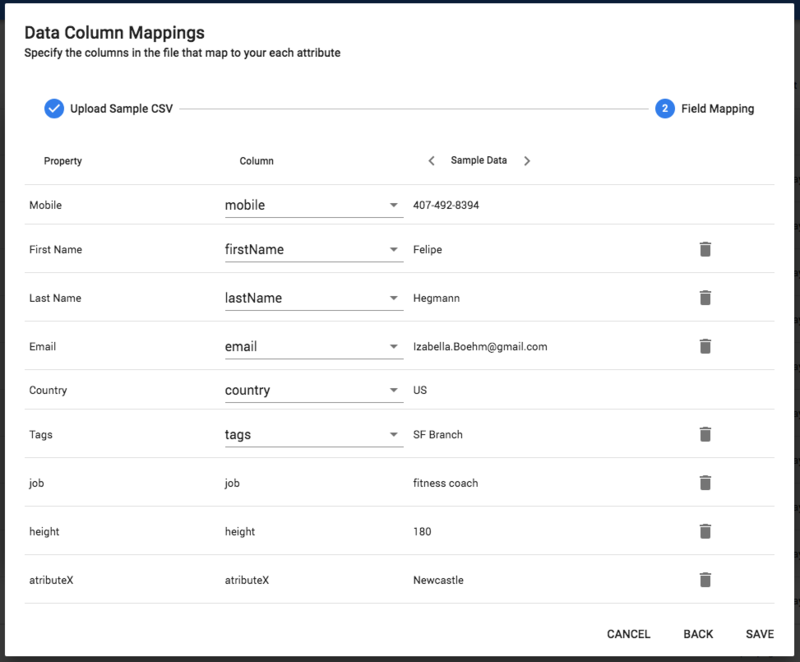 Click the "Field Mapping" button and upload your CSV data file. 5.) Field mapping - Data column mapping. 6.) 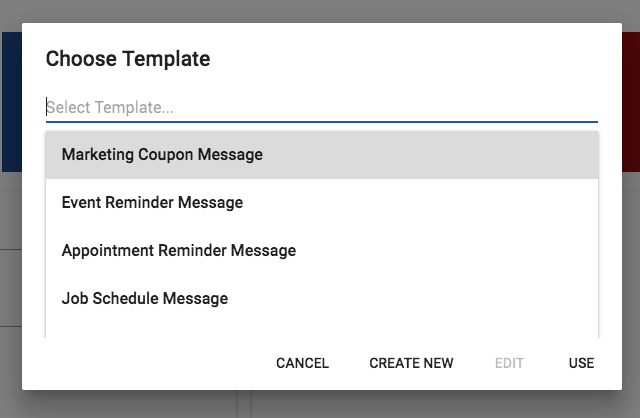 Generate your messaging template. You can use an existing template, edit an existing template, or create a new template. 7.) Select your message reporting. 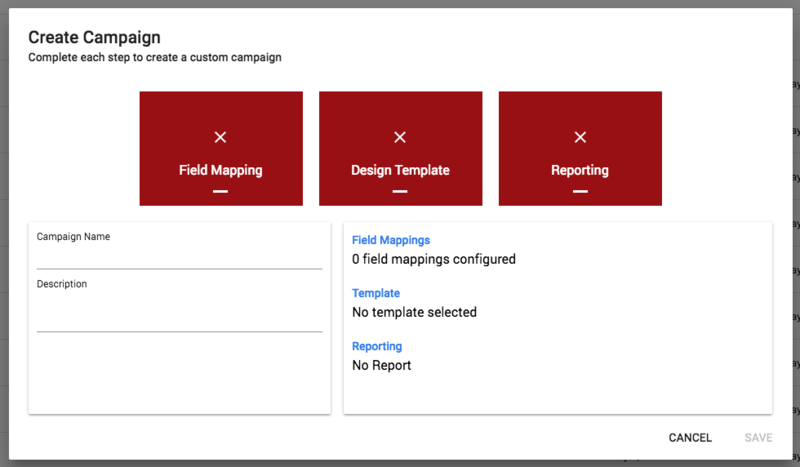 You can have a campaign message report automatically sent by email after a minute/hour/day delay of your choice. 8.) You're done! Click "Save".